The campaign will run for 6 months across radio, print, video on demand and social media channels targeting business decision makers, and will be almost completely based on customers telling their own stories. 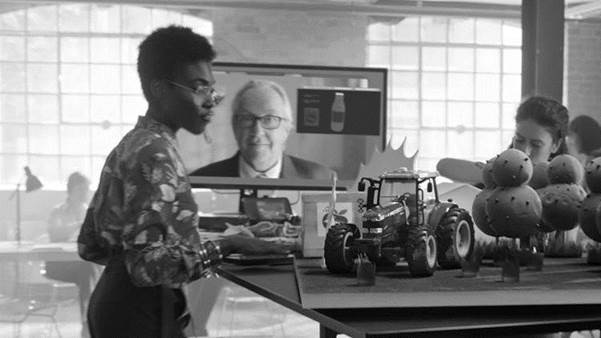 The emotive customer testimonials showcase Vodafone’s expertise in a range of industries; and outline how its digital technology solutions are being used to address specific business challenges and bring businesses closer to their customers. Moocall, for example, uses Vodafone’s market leading Internet of Things (IoT) network to monitor and track calving, reducing the mortality rate of calves and cows by up to 80% during birthing. To date more than [150,000] calves have been born safely using Moocall’s non-invasive, tail-mounted sensor. CareTech uses Vodafone unified communications to share critical patient information efficiently, enabling carers to focus on what matters most – caring for their patients.